We just completed Rahm’s Little Readers, the Chicago Public Library’s summer reading program that challenges kids to read at least 500 minutes between June and September. In addition to reading, participants must complete two activities from each of the following categories: talking, singing, writing, and playing. Technically speaking, Baby Bear doesn’t write yet–or talk or sing much, for that matter–but luckily for him, his Mama Bear had some crayons and a strong grip to force his hand. Nonetheless, when you read for at least 500 minutes, you end up repeating a lot of the same books. It’s necessary, then, to find books you, the reader, genuinely enjoy as much as your babe. It’s only fitting that the first book on this list is a nod to one of the very things this blog’s name references. Eric Carle is undeniably one of the most beloved children’s book authors and illustrators of all time (he’s 87 now!). Fun fact of the day: Brown Bear was a collaboration. It was this book that actually kicked off his career in 1967, followed by the arguably more famous The Very Hungry Caterpillar in 1969. Baby Bear and I started reading Brown Bear mostly because I liked it so much, but before long, I noticed that he’d reach for it on his own. He seems captivated by Carle’s signature bright and blocky illustrations (much to my chagrin, he wiggles in excitement every time we land on the damned purple cat) and eagerly turns the pages to see which animal is next. What’s especially fun is when he points along on the last spread as we recap all of the animals. Who wouldn’t love Curious George in finger puppet form? Baby Bear sure does, and has been grabbing George’s little monkey hands for as long as he’s known how to move his own. With five brightly colored pages of pat-a-cake rhymes, from the classic “baker’s man” verse to an appropriately themed “yellow hat man” one, babies can’t help but to smile and clap along. This is a great diversion book, too, having stopped at least a few crying fits in this household. No, the text in this one isn’t exactly Newbery material, but it’s straight-forward and easy for even the youngest listeners to understand. Each page shows a color followed by two objects of that color. A third object is shown in black and white until the reader pulls out its corresponding tab and its color is revealed. For example, “This is the color yellow. The chick is yellow. The taxi is yellow. What color is the banana?” When you pull out the tab, you learn that the banana is yellow! Good job; you’re getting the hang of it! Just recently, Baby Bear has become a little obsessed with pulling out and pushing in each tab. Every time we read it, he is engrossed to the point where he actually wants to flip it back and start over. At this pace, this kid is going to know his colors early! What I also like about the book is that it contains ideas for the reader to encourage more interaction so the book won’t grow stale. The orange page suggests pointing to and discussing each image in addition to talking about the color (e.g., “What do you do with a carrot?”). It’s always helpful to have new ideas like this. Where Is the Green Sheep? / ¿Dónde está la oveja verde? My only complaint about the book is that the English version rhymes but the Spanish one does not. While I appreciate a straight translation, I would prefer the content to be changed slightly enough to make both versions equally fun to read aloud. Either way, this one is in our diaper bag at all times. As you can tell, Baby Bear is really starting to enjoy interacting with his books. This one is a particular favorite because it has the baby trifecta: flaps to lift, textures to touch, and a mirror at the end. Each page begins with, “Peekaboo! I see…” along with a picture of an animal hiding behind its hands. The reader must lift the flap to reveal what animal is hiding and what kind of kisses it offers. For example, “Peekaboo! I see…furry puppy kisses.” As a bonus, said furry puppy has a nice, soft patch of purple fur for baby to feel. Babies pick up on rituals, and, as such, Baby Bear has started to preemptively cover his eyes/forehead before each new page. It’s adorable. Baby Bear received this book for his first birthday, and it’s quickly become one of my personal favorites to read to him. Self-described as a “joyful celebration of self-awareness,” Quick as a Cricket uses contradictory animal similes and beautiful illustrations to capture the many dimensions and colorful imaginations of children. My favorite stanza (and corresponding imagery) is, “I’m as brave as a tiger, I’m as shy as a shrimp, I’m as tame as a poodle, I’m as wild as a chimp.” Plus, Baby Bear’s version came with a cool personalized touch: his aunt wrote the Spanish translation on each page. Thanks, Aunt B! I mean it when I say that Little Blue Truck is a great read for children and adults alike. It’s short enough for Baby Bear to stay engaged but long enough to develop a thoughtful arc about the old golden rule and contains language that’s extremely fun to read aloud. “Little Blue Truck came down the road. ‘Beep!’ said Blue to a big green toad. Toad said, ‘Croak!’ and winked an eye when Little Blue Truck went rolling by.” You’ve no choice but to enhance your animal noise skills if you read this enough. I also enjoy this book for its illustrations, which evoke in me a Norman Rockwell-esque nostalgia for the countryside I didn’t know I had. I’m passionate about this book because it is exceptionally playful and creative, an alphabet book like no other. Perhaps the most talented and diverse group of peas in existence scatter across these pages to teach kids the ABCs. Not only are these fun rhymes to say aloud, but the illustrations are surprisingly detailed and clever, too. Who would have thought two peas roasting marshmallows could be so cute? In what is an outwardly simplistic book, I find something new and equally entertaining each time we read it. This book earns a Baby Brown Bear Golden Star. At some point in the near future, I may need to admit to a slight children’s book hoarding problem, but I’m not there yet! What are your favorite children’s books? As already established, we value speed and convenience at the Bear/Wear residence, especially when it comes to breakfast (because who wants to make something complicated at the crack of dawn?! I need at least two cups of coffee for that). These babies take about seven minutes to prepare (really). Even better, they are healthy and baby approved. Yes, I know. I hate to even describe pancakes as healthy, and you may assume they need added sugar, but you’re forgetting two words: caramelized banana. Yum. For the sake of this post and because I only had one egg left in the fridge, I’m showing this as one half banana to one egg, which yields two pancakes. As long as you keep that ratio, you can make as big of a batch as you want! Put all ingredients in a bowl. Mash the banana and whisk together with a fork until thoroughly mixed. Spray a nonstick griddle over medium heat. When the surface is hot, spoon the egg mixture into pancake shapes on the griddle. Using a spatula, flip the pancakes after about three minutes. The bottom should be a golden brown. Wait another three minutes or so, until the other side is also golden brown, and remove from heat. Baby Bear and I prefer them plain or with a side of fruit, but if you need a little something extra, a touch of syrup and/or butter ain’t bad. Farm fresh eggs from our local farmers’ market make for a nice, rich yellow pancake. I’m not kidding when I say baby approved; he shoves these in his mouth as fast as he can. Chances are you already have the ingredients, so why are you still sitting here? You could be eating these pancakes in ten minutes. Go enjoy! If you’re in search of a fast-paced two-player game, then look no further than Odin’s Ravens. While the original edition debuted in 2002, designer Thorsten Gimmler released this completely redesigned version just this year. Having won the “Best Strategic Card or Dice Game” category at the UK Games Expo 2016, I’d say it’s been a success. 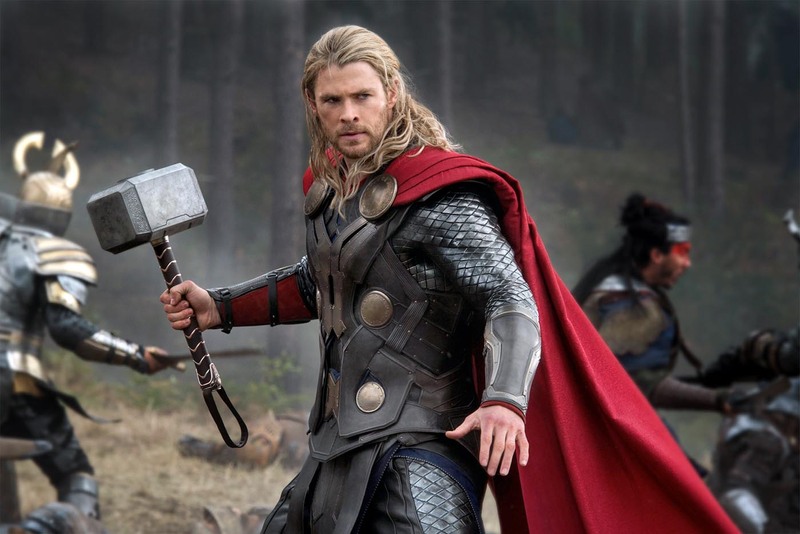 Unfortunately (and embarrassingly), my knowledge of Norse mythology is primarily based on the Marvel Comics movies (Chris Hemsworth, though, amirite?!). If you are in the same boat, please let me refresh you. The only appropriate response to the above picture. *The top-ranked games have ratings of ~8.3/10. 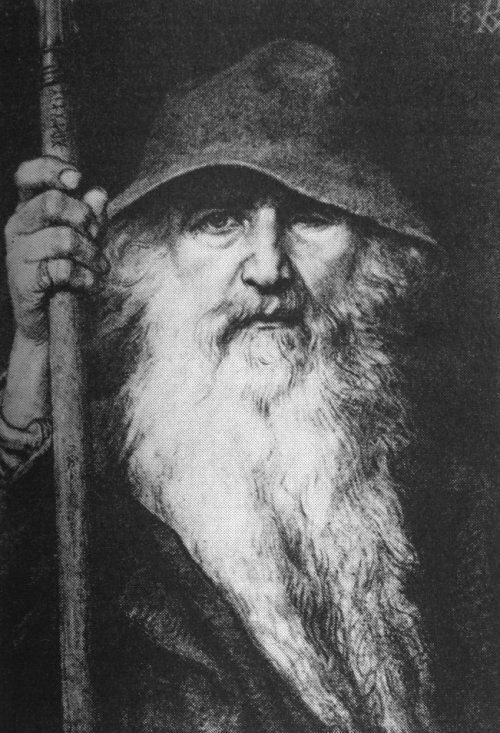 Odin, also referred to as “Allfather” because he is considered the father to all the other Norse gods, is the multi-faceted god of poetry, magic, and war. According to legend, his unquenchable thirst for knowledge led him to sacrifice an eye (via self-gouging) in Mimir’s Well, whence he gained some sort of cosmic knowledge. Interestingly enough, you can see a replica of this well at the Brunk Children’s Museum of Immigration. Another, more practical, way he gains his wisdom? By sending out his trusty ravens, Huginn and Muninn, to bring back news from across the world. In this game, you and your opponent are those ravens, racing against each other to see who can return to Odin the fastest. However, to do so, you may need to enlist the help of the trickster god, Loki (who, I just found out, is actually Odin’s blood brother and not his son, as the movies would have us believe). Check out the section in that link entitled “Loki’s Role in the Pre-Christian Northern European Worldview” for an interesting analysis of Loki’s importance in the Norse mythology universe. You’re a raven and you fly across the world to bring information to Odin. If you return before your opponent, you win. The setup is incredibly simple and is shown in the following picture. At the top of the picture is the stack of land cards. In the middle of the picture to the left are the two wooden raven figures, ready to race. To the right of those are 16 land cards. On the bottom of the picture are the black player’s 25 flight cards and 8 Loki cards, the rule book, and the red player’s 25 flight cards and 8 Loki cards. The path the ravens must follow is a loop, meaning the white raven on top must go straight in front of him until he reaches the end of the row. Then he must go down to the other side of the card (in this case the forest) and circle back on his opponent’s side until he arrives back at the starting point. Ravens start on the left side of the board and must traverse land cards. While there are 40 total land cards, they are shuffled and 16 are placed on the board. Players must make sure no two spaces in a row are of the same terrain (e.g., two fields cannot be touching). All remaining land cards are placed (in this case) on top of the board. Below the land cards are each player’s decks. Both the black player and red player have two stacks: 25 flight cards and 8 Loki cards. Players draw five total cards for their starting hand. They can choose to draw cards from either or both piles. I’ve personally found it best to draw at least one Loki card. An example starting hand includes four flight cards and one Loki card. Tom Hiddleston is a much more attractive Loki. The nice thing about this game is that it’s pretty flexible in terms of what you can do, meaning you can play as many or as few cards as you can or want. That said, the basic actions you can take are flight or trickery. To advance a raven, players must use flight cards that match the terrain of the next space on their route. If there are spaces of the same terrain in a row (which could only happen after moving cards around with Loki), a player can move his raven to the last card in the row, meaning the raven only uses one of those terrain cards to fly over all of that terrain. For example, the black raven must play a desert card next. Since there are two desert cards in a row, he will only need to use one desert card to fly over both of the deserts in front of him. If a player has no matching flight cards, he can use any two flight cards of the same terrain in place of the one flight card he needs. Once used, players discard flight cards into a pile that will eventually be reshuffled back into play. There are four types of Loki cards and each card has two different actions. A player can choose only one of these two actions. Once the action is taken, the card is removed from the game. This means each player can use up to eight Loki actions total throughout the game. The four types of cards are shown below. Their abilities are fairly self-explanatory based on the drawings, but more explicit instructions are in the rule book. Here are all four types of Loki cards. A player can choose to use the top OR the bottom action. One of the Loki cards allows you to build a loop that elongates the route for the other player. For example, the white raven on the bottom is trying to move left. He must now play a forest card, a field card, and a fjord card to win instead of just a fjord card. After you are done playing your cards and have discarded them appropriately, you must draw three new cards to end your turn. You can choose any combination of flight and/or Loki cards. Note: you can never have more than seven cards in your hand and must immediately discard down to seven if you do. Remember, discarded flight cards are eventually reshuffled into play, but discarded Loki cards are not to be seen again! The game ends when a player moves his or her raven into the final space on the opponent’s side. If that player went first, the other player is given a chance to move to the end of his or her track. In case of a tie, the player with the most cards left in hand wins. Lack of strategy. The only real con is that there’s not all that much strategy involved in this game. You can plan a little bit, but you’re mostly at the mercy of the luck of the draw. Easy to learn. This game is incredibly easy to learn. In fact, you can skim the rules and start playing within 20 minutes. Quick pace. Odin’s Ravens is great “filler game,” as we often call them in our game group. By this I mean that it’s fast-paced, doesn’t take long from start to finish, and isn’t too heavy. You can play it to relax and catch your breath between longer and more strategy-heavy games. Artwork. I really appreciate the illustrations on the land cards. Each terrain is unique, colorful, and surprisingly detailed. They make me wish I could fly over them in real life. Two-player game. While some may view it as a con, I like that this is a two-player game only. It’s a nice option for weeknights when you feel like playing a game, but don’t want to play something that’s really designed for multiple players. It’s a good date night game, too. Lighthearted. I like the theme on this one a lot (as evidenced by my need to go into a little more thematic detail above), but I especially love that it’s lighthearted. I’ve been known to become a little cross when playing more serious games against Papa Bear, but this one is just light enough that I feel like we can challenge each other to multiple plays with no hard feelings. Does admitting this make me overly competitive? Probably, but no one loves to lose to the same person repeatedly. Odin’s Ravens is engaging and approachable for all experience levels. It’s fast enough to play a few times in a night without growing tired of it, and is very easy to learn. So far, it’s one of my favorite games of 2016! You, dear reader, are hereby invited to join me in a little challenge this week. Try giving a genuine compliment to everyone you encounter over the next five days. That’s it. It’s incredibly simple and yet by the end of the week, you’ll feel reinvigorated. By noticing and voicing something positive about the people around you, you’d be amazed how positive you’ll end up feeling yourself. It’s kind of like how smiling improves your mood, even if it’s forced at first. The more compliments you dole out, the more freely they will start to flow. Positivity begets positivity, at least in my experience. Plus, who doesn’t love making someone else’s day? You never know what people have going on in their lives, and your simple gesture may be a ray of sunshine in an otherwise cloudy sky. Furthermore, it’s just plain fun to see someone’s face blossom into a smile after they receive a compliment, especially if it’s unexpected. As the complimenter, you can’t help but smile back. As cheesy as it sounds, smiling is contagious. This week, let’s all try to focus on the good in ourselves and in others. Convenience is paramount in this household. Well, food and convenience both, which is why these egg muffins continue to be a hit. This bulk breakfast recipe is healthy, easy, and filling. It can be customized to satisfy anyone, and even appeals to Baby Bear’s palate. After you realize just how simple these are, you’ll no longer have an excuse for a boring grab-and-go breakfast. I like to make this recipe on Sunday night so we have breakfast for the full week ahead. It takes about 30 minutes. The best part of this recipe is that, with the exception of the base ingredient of eggs, you can mix and match whatever ingredients you have in your fridge. Try it out with your own favorite meats and/or veggies and/or cheeses. This is simply an example based on what I already had available. Cook the ground meat over medium heat in a large skillet. Grab the rest of your ingredients. Throw them all into a large mixing bowl. This includes a couple dashes of salt, pepper, and red chili flakes. Once the meat is done cooking, mix it into the bowl as well. Lightly oil a muffin pan. Use a serving spoon to carefully scoop the egg mixture into the muffin cups, leaving just a little room at the top. If needed, use a second muffin pan or make two batches. Throw the muffin pan in the oven. Cook for roughly 15 to 18 minutes or until an inserted knife comes out without residue. Enjoy a nice glass of wine while the egg muffins are baking. Unless you’re cooking these in the morning, of course, in which case you may want to stick to O.J. (with or without a touch of champagne). Remove the pan from the oven and let cool. Carefully extract the egg muffins. For maximum on-the-go breakfast convenience, place them in individual sandwich bags before putting them in the refrigerator. If you’re extra hungry in the morning (like me), I suggest putting one and a half or two muffins together. Baby Brown Bear was born in the city of Chicago. His first year of life was spent living in the city of Chicago, and it is here that I plan to raise him for an indeterminate amount of time. I feel like I express this regularly, even going so far as to loudly sing the city praises for all it has to offer my son, and yet I am often asked when I plan to move. To be fair, I do talk about, and have seriously considered, moving to other cities. I love adventure, and traveling to other places ignites my wanderlust and makes me wonder what life would be like somewhere else. I find most of the places I visit to be very agreeable; there’s hardly anywhere I can’t see myself living even for just for a short amount of time. I’m not saying we won’t move. I’m just saying I’m not ready for it yet and the constant incredulity I receive about actually liking it here is becoming a little trite. What makes it rather irksome is that it’s not people asking us when we’re going to uproot to a different metro area; it’s people asking us when we are moving to the suburbs. Or basically, asking us why we’d want to continue to raise Baby Bear in a big city, specifically this one. To that, I have a few canned responses, but I usually try to convey lighthearted indifference while I brush off the question with a meek smile. Depending on my mood, though, the person asking might very well get an eye roll accompanied by a tired and sarcastic diatribe. It is a fully American assumption that people who breed will want to immediately expand their square footage along with their family head count. Don’t get me wrong, I love big, quiet backyards, and appreciate the smell of freshly cut grass that isn’t tainted by the smell of bus exhaust. I grew up in the suburbs of Chicago and loved it. (I’m not being sarcastic now, either. I really did love it.) My schools were among the best in the state, the extracurriculars in which I participated were top notch, the community to which I was exposed was safe and caring. My suburb in particular was even pretty well diversified in terms of race, religion, and sexual orientation. I am proud of my hometown and my upbringing. Yes, the suburbs would be a great place to raise Baby Bear. I don’t deny it. But I also don’t like that people assume it’s the only good option. I suppose I can see how they would. Like many other issues, it’s sometimes hard to think that other ways of doing things might work better for different people. Everyone needs to weigh their own pros and cons for decisions like how and where to raise their children. When we feel positive about the decisions we make, it’s natural for us to think other people would benefit from those same choices. Voicing these opinions doesn’t make us bad neighbors or friends, but rather means we care. We want other people to be happy and feel positive, too. The case for or against the city of Chicago is especially loaded. It’s not for nothing that some people think we should move. Chiefly, our safety is a little more at risk here. There’s a lot of crime right now, constantly making headlines. In blanket, city-wide terms, it isn’t what I’d call the safest place. And while most of the violent crimes occur in neighborhoods that are not where we live or frequent, the occasional shooting does happen not too far away and, I’m not going to lie, it freaks me out. My heart breaks for the innocent lives taken each day and seizes in terror at the idea of anything similar happening to my family. But you know what? Bad things happen everywhere. I’m not using that as an excuse, and it certainly isn’t to justify the crime, but no ground is too sacred and no place is immune to destruction. It’s arguably what human beings are best at, and have been for centuries. All that said, however, I’d argue that another of mankind’s most remarkable abilities is to bridge together to form supportive communities. For as many rotten apples as there may be, I think big cities show better than anywhere else how many millions of good ones there are too, ready and willing to help those around them. Yes, we have to be careful and make sure we’re aware of our surroundings, but I do believe that we’re largely surrounded by people with the capacity to love, protect, and aid. We cannot stop living life because we are afraid. Another reason people question our decision to stay in the city with a baby is simply due to the lack of space that comes along with apartment living. Given that our previous apartment had around 600 square feet, you can imagine how palatial our current place feels with about 1,200. Plus, with two bedrooms, one may argue it’s downright luxurious. As I like to remind everyone who asks, literally billions of people around the world live in apartments, many of them smaller than ours, and sometimes with many more children! Sure, babies do seem to acquire an enormous amount of things, many even before they are born. I registered for a lot of it, but I continue to be surprised at the stuff Baby Brown Bear seems to “need.” I’ll save my own registry opinions for another post, but suffice it to say you don’t really need all that much to get by. Babies are pretty simple folk. As many toys as we have (and enjoy), Baby Brown Bear is mostly drawn to non-toys like dog bones, coolers, and pretty much anything else he’s not supposed to touch. With the help of some cute storage shelves from Target, we’re able to stuff a lot of his odds and ends into boxes and keep them hidden away when they’re not in use. We are also extremely fortunate to have a temporary storage unit in my parents’ basement. When he outgrows something, it goes straight to their house. Without this extra space, I’m not exactly sure what we’d do, but I’d imagine we’d try to loan things out, sell them, or donate them. As a rule, city dwellers just have to figure it out when it comes to space. I’d like to think it helps you prioritize your belongings simply because you can’t continue to accumulate without semi-regular purges. When talking about issues with raising children in Chicago, I’d be remiss to not mention this one that continues to baffle me: the Chicago public school system. Unfortunately the constant controversy of the last few years has caused it to reach peak notoriety for its problems with leadership, unions, and funding (to mention a few). Like anywhere, how “good” a school is here changes neighborhood to neighborhood. And since the success of any school largely depends on the support it receives, it’s important for families who are passionate about quality education to become active participants in their schools. When I think of four years from now, when it’s time for us to send Baby Bear to kindergarten, I feel very torn. On the one hand, I want to stay, become involved, and be a champion of progress within Chicago Public Schools. On the other hand, if the school isn’t supported, the teachers are worn too thin, or, God forbid, I fear for Baby Bear’s safety on his way to and from school, well then I’m not willing to sacrifice his education or safety to make a political point. And forget private school; I cannot afford to (nor would I want to if I could, based on principle alone) pay $20,000 or more a year from kindergarten on so that Baby Bear can get an education he could get at a public school in the suburbs. For now, when people ask about what we’ll do when it’s time for school, I tell them the truth: that it’s something I’m going to have to reassess when it’s time. Anything can happen in four years, anyway. Needless to say, there are challenges that come along with raising a baby in a big city. I, however, believe there are still so many more reasons to do it. It’s not cheap to live in the city–we could have a nice house in the burbs for what we pay for an apartment each month–but it does allow you to save in some ways. For one, I don’t have as much square footage to furnish. Renting also means I don’t have to worry about making several trips to Home Depot and draining my bank account on home repairs. For another, public transportation is a thing of beauty, a thing that provides endlessly fun people watching opportunities, and a thing that allows you to get by without a car. If you can’t find a train or bus to get you where you need to go, then you can hop in a cab or an Uber, rent a car or a bike, or just plain walk. While we do have a car, it’s mostly because we have a dog and a baby who make taking public transportation to the suburbs to see grandparents a little harder. Still, I probably only fill up my tank about once a month, and that’s not bad. Papa Bear and I walked a lot before Baby Bear was born, but now that I have more time to do it, Baby Bear and I walk almost everywhere. It’s great for him, for me, and for the environment. Plus, being on foot allows us to become much more intimately acquainted with all the city has to offer. If we lived in the suburbs, we would drive everywhere. For some reason, it just feels more laborious to walk in the suburbs, even when the distance is short (and this is coming from someone who isn’t afraid of distance). There, going for a walk rarely serves any other purpose than just going for a walk. Which I really like to do, but as a multi-tasker, I love being able to sneak in a little exercise while I’m on my way to do things. Plus, walking to brunch means I can eat a shortstack and a skillet without feeling guilty about it! Walking around also allows us to see all the people who make this city so vibrant and alive. No matter the time of day, we can walk outside to see people going about their lives. There’s a constant energy here that just doesn’t exist in the suburbs. It’s not like stores are open 24/7 and people are milling around my neighborhood at three in the morning, necessarily, but there’s just enough going on that you are constantly reminded of how many different kinds of people leading different kinds of lives there are. I recognize that might not be for everyone, but I thrive on it. I relish that Baby Bear hears at least five different languages every day. I love that he sees people of all races, ethnicities, socioeconomic statuses, and backgrounds. It’s my hope that seeing this multi-dimensional world from the start will allow his worldview to be that much broader; that he’ll take for granted how well people of all colors, religions, sexual orientations, etc., can function together. Living among so many people is incredibly conducive to building relationships, too. Big cities allow us to connect with like-minded people, regardless of subject matter or interest. There is no shortage of people with whom to gather and form bonds, which means anyone can find some sense of community. The new mom group I joined after Baby Bear was born is an example of this, and it’s become an invaluable support network for me. I’m so grateful that I was able to find such a positive group of women, and it makes me sad for fellow new moms who don’t have access to something similar. I know these types of groups are not unique to cities, but they do seem harder to come across in the suburbs, even if it’s just because everything is much more spread out. On the flip side, it’s sometimes nice how easy it is to remain anonymous in a city of this size. Our friends and family care about our well-being, of course, but I never have to worry about strangers knowing our business. When we want to be around people, we can be. When we don’t want to be, we don’t have to be. I have no reference for small-town living, but I do wonder how people deal with that aspect of it. And if that’s not enough, there’s just so much to do in a city. I love that we’re never lacking in ideas for activities, many of which are free. On any given day, we have so much at our fingertips: museums, cultural centers, libraries, sporting events, world-class art and music, story times, gardens, parks, zoos, conservatories, running paths, playgrounds, beaches, pools, neighborhood shops, restaurants, bakeries, and mom and baby get-togethers. The list is practically endless, and this is all just within city limits. We could spend a lifetime exploring this city and it would hardly scratch the surface. Knowing that my kid might take for granted seeing a 65-million-year-old Tyrannosaurus rex skeleton blows my mind. I hope to instill in him a sense of appreciation for all of the opportunities he has, but I do love that such wondrous things are so readily available to him. Adventure is always around the corner when you’re raising your baby in Chicago. Like anything else, there are pros and cons to living here, but what matters is that we each make our own informed choices. For me, all the benefits outweigh the challenges. Being surrounded by the people, activities, culture, and energy make living here well worthwhile for our family. This might change as Baby Bear grows and has different needs, but for now we will be damned sure to enjoy every minute.